Lucy: "I quite like sportswear and things that are comfortable, not over styled. Anything mad inspires her style, she likes crazy colors." Suzy: "Lucy inspires my style. Things that are too young for me." 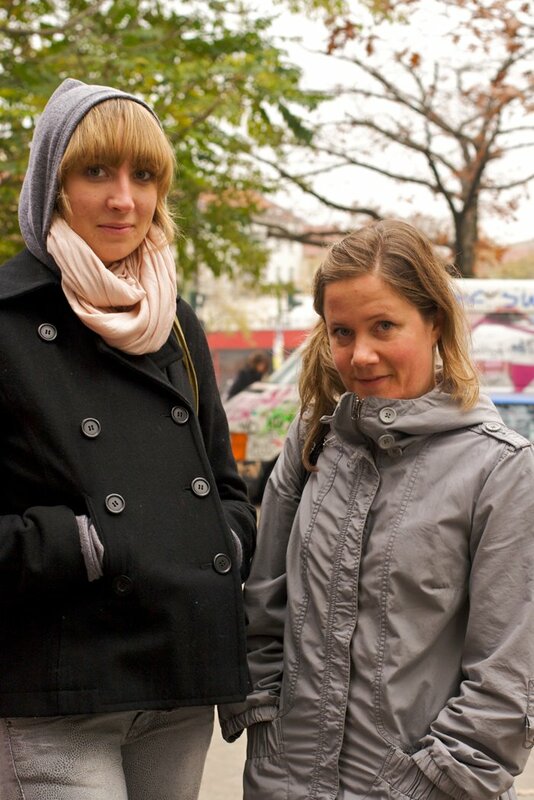 When cold weather descends, I have admiration for people who can assemble a cohesive, yet weather appropriate outfit. Here Lucy and Suzy (visiting Berlin from Britain) wear jeans that have patterns on them (lovely detail) with a short pea coat (Lucy) and a long anorak (Suzy). Though (most likely) unintentional, I like the visual play of short-tall, long-short, metallic-opaque that they embody. 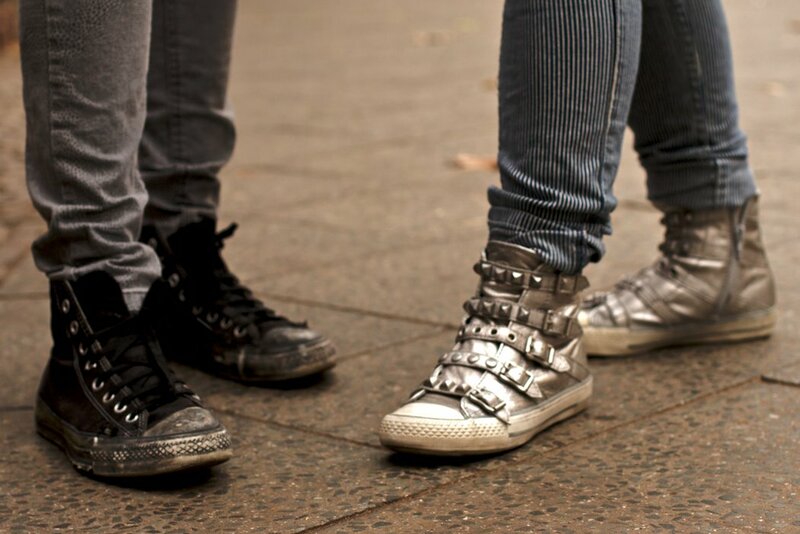 A look at Lucy's Converse and Suzy's metallic trainers. These came out great! Nice contrast of proportions. i'm loving the metallic trainers. wow! i've never quite seen anything like that before. thanks!